Your estate plan is a series of documents containing instructions about what you want done with yourself and your possessions after death—or when you are no longer able to be consulted because of incapacity. Because you will not be in a position to clarify your intentions when these documents are in use, your choice of words can have a major impact on their implementation, which is a primary reason to avoid any temptation to save a little money and use the do-it-yourself (DIY) estate plan documents and tools commonly found online. 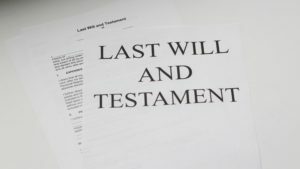 When you use a vending machine-like computer program to spin out a “will” for yourself, you merely receive stock language for your Last Will and Testament, or other estate documents, and you aren’t getting the skill and knowledge of a trained professional. Although arguably you could be paying for a perfectly legal document, it most likely will be the wrong tool for the job. For example, if you have need for long-term care planning or concerns about a spouse in a nursing home and on Medicaid, a cookie-cutter estate plan that is built around helping you avoid estate taxes is the wrong plan! Under federal law, estate taxes don’t apply to individuals with assets of $5.6 million or less—and $11.2 million for couples. In Connecticut, up to $2.6 million in estate assets per spouse is exempt from taxes, and that goes up to $3.6 million per spouse as of Jan. 1, 2019. Most couples in Connecticut don’t have the magnitude of assets to worry about estate taxes. Instead, most couples have concerns about paying for long-term care or eligibility for state benefits such as Medicaid. For these couples (which is to say most people), such an estate tax-centric plan can have horrendous unintended consequences. In Connecticut, when a spouse becomes ill and requires long-term care, the state will not pay for that care until the person has reduced his or her countable assets to $1,600. At the current average private pay rate of at least $12,400 per month for a nursing home, a person can spend through his or her retirement assets in short order to reach that amount. When the person applying is the surviving spouse and beneficiary of one of the estate-tax centric plans, she will have to spend all of the couple’s assets before the state will provide care. If the couple had consulted with an estate planning attorney, the attorney would have advised them that the estate tax was not an issue. Instead the attorney would have advised them to focus their plan on protecting their estate from the much more likely danger of a spend down for long-term care. 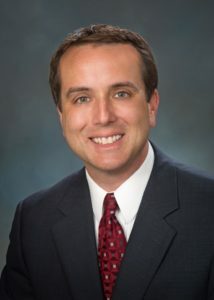 Partner Neal D. White, Jr.
On the contrary, an estate plan designed to avoid gift and estate taxes usually features one or two trusts built to eliminate or defer the estate tax until the death of both spouses. Most often, this is done with a trust combination known as the “AB trusts,” “Credit Shelter and Marital Deduction Trusts,” a disclaimer trust, or some other variant of these. 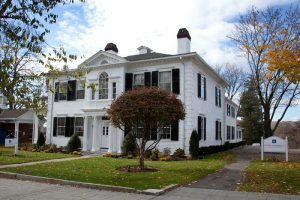 The trusts operate by placing the greatest amount that can pass without taxation into one trust (currently $2.6 million per person in Connecticut), and either distributing the balance to the surviving spouse, or holding the excess in a trust for the survivor that is eventually included in her estate. If the couple has less than $5.2 million (or $2.6 million per spouse) this technique eliminates the tax issue. Canned or “cookie cutter” DIY estate plans may work in some limited situations. However, when dealing with life and estate planning, especially in terms of long-term care solutions and asset protection for your family, you should strongly consider consulting with an experienced estate planning attorney. Cramer & Anderson Partner Neal D. White, Jr. was named Best Estate Planning Lawyer in the Waterbury Republican-American newspaper’s 2018 Reader’s Choice Awards.